Avis is an international mobility services company which provides car rental and leasing services from economy cars to luxury cars and commercial van. Open everyday, pick up your car even on weekends! Deals and promotions available online at their website. In Singapore, you may engage the service that you need and those popular services among Singaporeans includes; car rental in Singapore to Malaysia, replacement car rental, corporate car leasing, international car rental & wedding car rental. Enjoy quality service, insurance, 24-hours roadside assistance and more with Avis. I would like to compliment the Avis team at Avis Rental Singapore Airport terminal 2) for the excellent customer service extended to me from in February. Althought price is a bit expensive but i think its worth. Because i am able to get friendly provider, The process is hassle free. Renting a vehicle from them would nv be a dissapointment. Ch33rs!! Good customer service and flexible, however the car rented had some interior parts damaged. 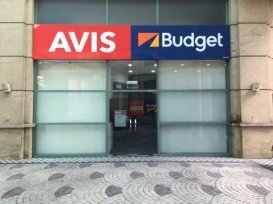 Avis Car Rental and its subsidiaries operate one of the world's best-known car rental brands with approximately 5,750 locations in more than 165 countries. In 2019, Avis was awarded Best Vehicle Rental and Leasing Company in the Singapore Business Awards.With award-winning services worldwide, customers trust us with their mobility needs wherever they go. Arrange for your preferred vehicle today with us at www.avis.com.sg. Why do customers recommend Avis? Host of driving conveniences such as Satellite Navigation, DVD Player, Child Seats etc. Enjoy exceptional car rental services in Singapore with Avis! Avis cars can also be driven into Malaysia. Book with Avis Singapore for your overseas car rental holiday! Visit www.avis.com.sg for latest Worldwide deals!